Have a look at what our friends from The Fashion Vault prepared for the racing season... We had so much fun with this collaboration! The spring racing carnival is well under way kicking off with Caulfield Cup in Melbourne over the weekend. The racing season brings my favourite time of the year for fashion and look forward to seeing how trends vs traditional race wear is interpreted by regular race goers and elite fashionistas. 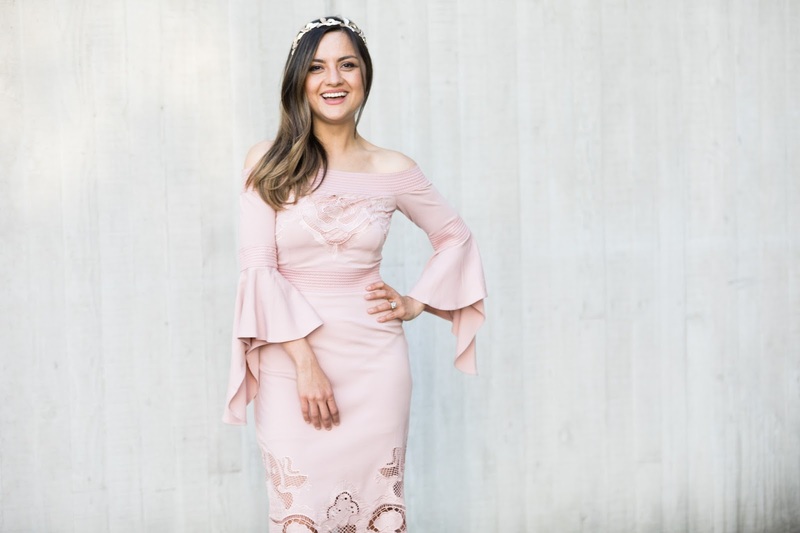 What I love about styling race wear is that it's the one time of the year where you can truly go all out with your look and dress head-to-toe. It is a perfect time to experiment with your style and try a new colour, silhouette, accessories or a new season trend. 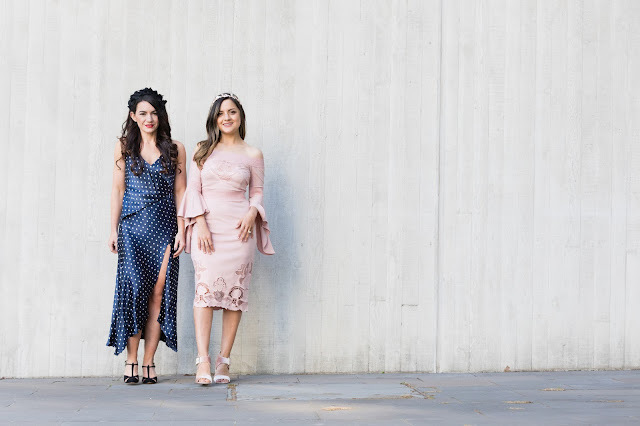 Styling yourself for the races can be a lot of fun but can also be a little overwhelming so every year we put together a racing style guide just in time for our big race day, Melbourne Cup. This year we are so excited to have teamed up with Canberra's finest - Momento Dezigns who stock beautifully curated designer collections from many of our faves including faves Alex Perry, Mossman, Bec and Bridge and Misha Collection. We were so spoilt for choice but we narrowed it it down to our top 3 looks for the races - Classic, On Trend and Designer. When in doubt take inspiration from traditional race wear and opt for a classic look. Think clean cut silhouettes, tailoring and either a pencil or a-line skirt depending on what suits your body shape best. The key is to keep it simple and let either your dress or head piece be the stand out feature, keeping accessories subtle and to a minimum. 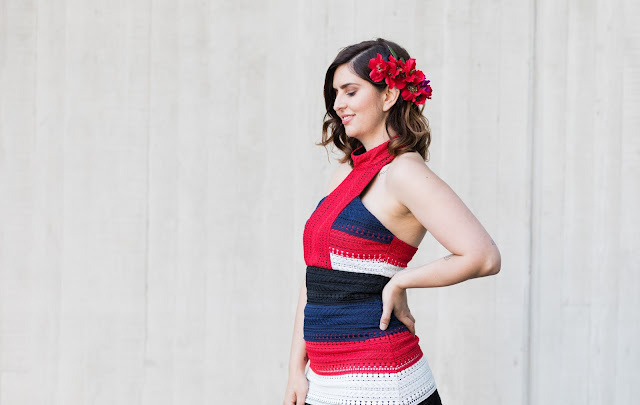 For this look the hand crafted head piece by Christine Waring makes the statement and is perfectly complemented by this Heartbreaker dress made and designed in Australia by Pasduchas. 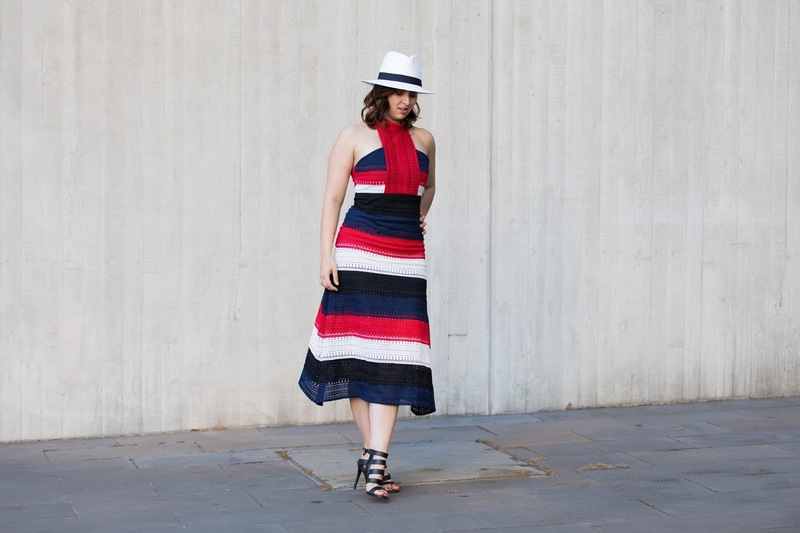 On the other hand this Mossman dress makes a statement of its own, so a simple fedora complements the shape and symmetrical lines of the dress and creates a modern classic look. For contrast and for a pop of colour a floral head piece also works in complementing the statement dress and adding a touch of femininity. Stylist tip: Stick to a black and white palette with a pop of red if you truly want to go pay homage to traditional dressing. Remember to dress for the season so keep textures and fabrics light, just because you are dressing classic doesn't mean that your only option is a corporate style dress or feel like you have to wear something old fashioned - instead think contemporary and fresh. This applies to your head wear too! Avoid felt, leather and heavy materials instead go for sinamay, flower crowns, jewelled head bands and straw hats. The races is the perfect time to have fun with your look and explore new season trends. This season is so fitting as it is all about lady like polka dots, ruffles, pinks, reds, off-the shoulder and an the over sized sleeve. Hoorah! Wearing off shoulder We Are Kindred dress in blush. When dressing on trend make sure you pick a style or colour that suits you and your body shape and will be wearable post racing season. This is why this polka dot Bec and Bridge slip dress, is the perfect option. Currently on trend but its shape is timeless and could be worn to many occasions. If you're not big on trends opt for on trend accessories instead such as a Spanish style boater hat or chandelier earrings. This will give your look and current wardrobe an instant style update. 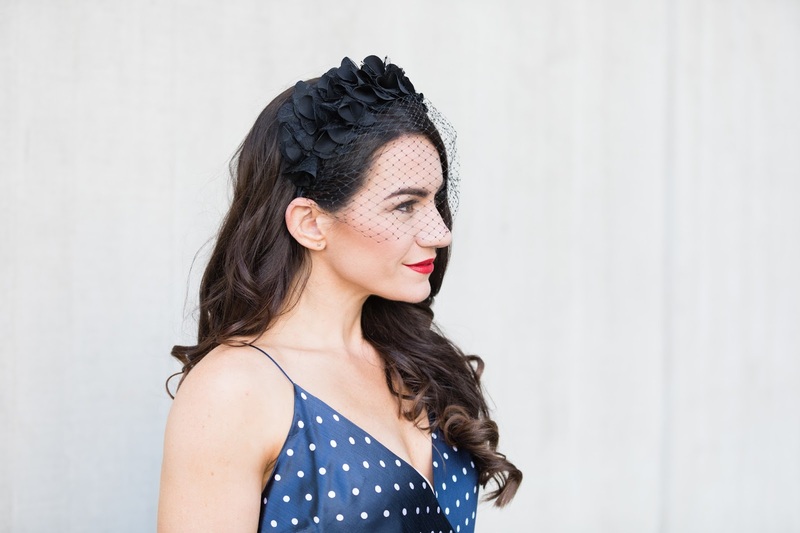 Stylist tip: If you don't want to splurge on new head wear buy a small piece of tulle or sinamay and add it to a head piece you already own to make it feel like new again. We all deserve to splurge every now and then and when it comes to picking a dress for a special occassion such as the races, opting for a designer dress can really be worth the investment. Designer dresses usually feature amazing cuts high quality fabrics, feature details and are usually made to last. If you truly want to make a statement then investing in a designer dress is the way to go! The racing season only comes around once a year and if you are careful with your choices you can select a dress that fits like a glove, makes you feel amazing and will last the test of time. This Empower dress by KITX fits is suited to any body shape and is the perfect races dress for a boho or vintage girl at heart. Simply paired with a delicate metallic head band and a glomesh clutch this look will have you race ready and feeling fabulous! This post was in collaboration with Momento Dezigns.